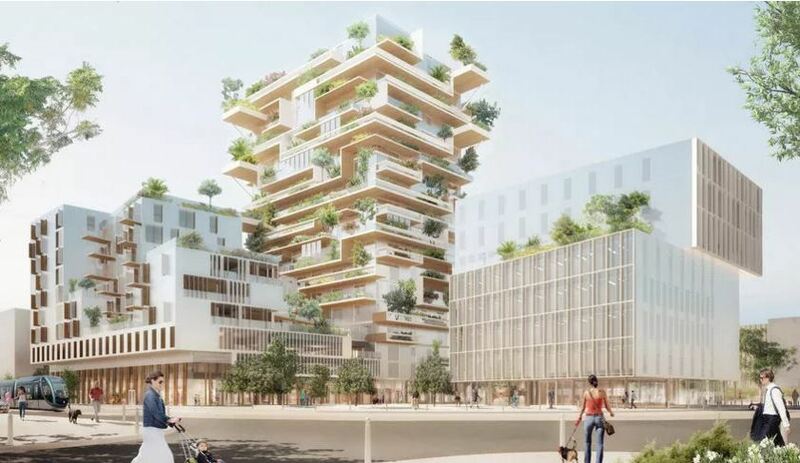 France is gearing up to make the country’s first tall timber construction in the form of two towers. 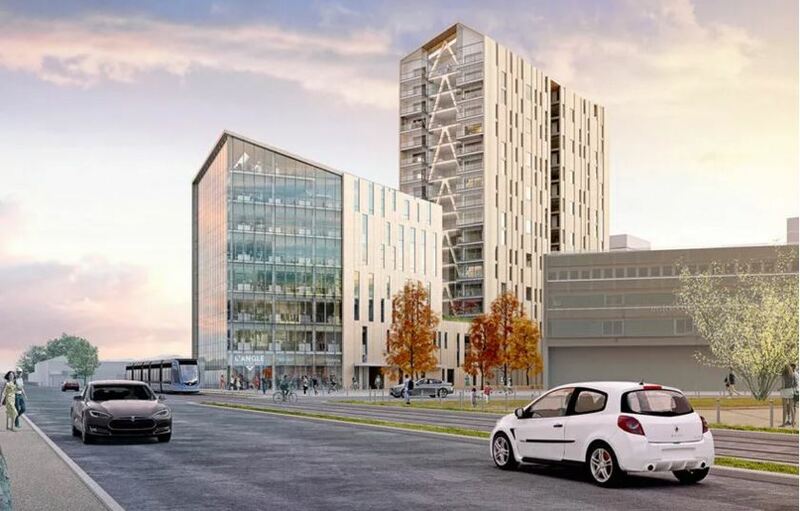 The pair of wooden towers are planned to be 50 and 57 meters high (164 and 187 feet) and will built in the center of the city by Bordeaux Euratlantique. Global Construction Review details the plans which include multiple design teams. The taller of the two towers, “Hypérion”, will be an 18-story residential tower with 82 apartments. The project team includes Eiffage, specialist wood contractor Woodeum, landlord Clairsienne and architect Jean-Paul Viguier & Associés. The other tower, nicknamed “Silva,” will be an office building. The project team includes developer Kaufman & Broad and is designed by architect Art & Build. 80% of Silva will be made with locally sourced cross-laminated timber with glulam plywood bracing. Both of the designs were chosen in a competition held by the city. Global Construction Review reports that construction on Hypérion is expected to begin in September 2017 with both towers completed by 2020. Read more about the timber towers and learn about other wooden buildings in France.